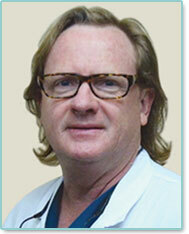 Jonathan Pontell, MD, FACS is the First Physician in Philadelphia, PA to Offer the QuickLift Procedure. (PHILADELPHIA, PA – June 1, 2015) – For the first time, women and men in the Philadelphia area now have access to the QuickLift®, a revolutionary mini facelift procedure that tightens sagging skin along the jaw line and chin, offering natural-looking results without the lengthy recovery and costs associated with traditional facelift surgeries. 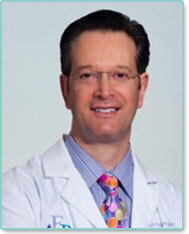 Dr. Jonathan Pontell is the first doctor in Philadelphia to offer the procedure. Unlike other mini facelift procedures that tighten only skin, the QuickLift Facelift permanently suspends the underlying structures of the lower face (SMAS), jaw line and neck, offering men and women the benefit of a more youthful appearance for years to come. The QuickLift is performed under local anesthesia or with twilight sedation, and may be completed in about one and a half hours, when performed alone. Smaller incisions and shorter surgical time result in less swelling and bruising, and a shorter recovery period, with most individuals able to return to their normal routines within a few days. 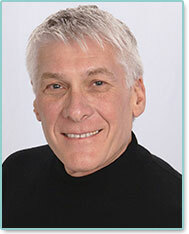 James Hoyt, MD is the First Physician in Yakima to Offer the QuickLift Procedure. (Yakima, WA – May 28, 2015) – For the first time, women and men in the Yakima area now have access to the QuickLift®, a revolutionary mini facelift procedure that tightens sagging skin along the jaw line and chin, offering natural-looking results without the lengthy recovery and costs associated with traditional facelift surgeries. Dr. James Hoyt, MD is the first doctor in Yakima to offer the procedure. Unlike other mini facelift procedures that tighten only skin, the QuickLift Facelift permanently suspends the underlying structures of the lower face (SMAS), jaw line and neck, offering men and women the benefit of a more youthful appearance for years to come. The QuickLift is performed under local anesthesia or with twilight sedation, and may be completed in just a two hours, when performed alone. Small incisions and shorter surgical time result in less swelling and bruising, and a shorter recovery period, with most individuals able to return to their normal routines within a few days. 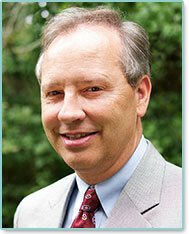 Daniel B. Lensink, MD is the First Physician in Redding, CA to Offer the QuickLift Procedure. (Redding, CA – March 10, 2014) – For the first time, women and men in the Redding, CA area now have access to the QuickLift®, a revolutionary mini facelift procedure that tightens sagging skin along the jaw line and chin, offering immediate, natural-looking results without the lengthy recovery and costs associated with traditional facelift surgeries. 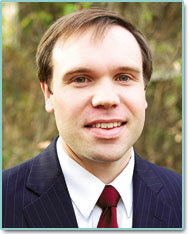 Dr. Daniel B. Lensink is the first doctor in Redding, CA and Grants Pass, OR to offer the procedure. Unlike procedures with similar names that tighten only skin, the QuickLift Facelift permanently suspends the underlying structures of the lower face (SMAS), jaw line and neck, offering men and women the benefit of a more youthful appearance for years to come. The QuickLift is performed under local anesthesia or with twilight sedation, and may be completed in just a two hours, when performed alone. Small incisions and shorter surgical time result in less swelling and bruising, and a shorter recovery period, with most individuals able to return to their normal routines within a few days. For the first time, women and men in the Mobile area now have access to the QuickLift®, a revolutionary mini facelift procedure that tightens sagging tissue along the jaw line and neck. This procedure offers immediate, natural-looking results with less recovery and costs than with traditional facelift surgeries. Board-certified facial plastic surgeon, Dr. Stephen Martin and board-certified otolaryngologist, Dr. Henry Barber are the first doctors in Mobile to offer the procedure. Unlike procedures with similar names that tighten only skin, the QuickLift Facelift suspends the underlying structures of the lower face (SMAS), jaw line and neck, offering men and women the benefit of a more youthful appearance for years to come. The QuickLift is performed under local anesthesia with twilight sedation, and may be completed in about two hours. Small incisions and shorter surgical time result in less swelling and bruising, and a shorter recovery period, with most individuals able to return to their normal activity within a few days. For the first time, women and men in the Atlanta area now have access to the QuickLift®, a revolutionary face lift procedure that tightens sagging skin along the jaw line and chin, offering immediate, natural-looking results without the lengthy recovery and costs associated with traditional face lift surgeries. 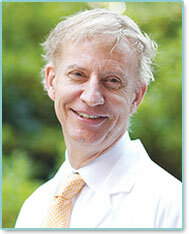 Board-certified plastic surgeon, Dr. Mark Jones is the first doctor in Atlanta to offer the procedure. Unlike procedures with similar names that tighten only skin, the QuickLift face lift permanently suspends the underlying structures of the lower face (SMAS), jaw line and neck, offering men and women the benefit of a more youthful appearance for years to come. The QuickLift is performed under local anesthesia or general anesthesia, and takes a few hours to complete. Small incisions and shorter surgical time result in less swelling and bruising, and a shorter recovery period, with most individuals able to return to their normal routines within a few days.